Japanese gardens are a work of art in and of themselves. Every feature, plant, or stone has meaning and value in itself and in its placement within the garden environment. The plant material is always selected for its interaction with the overall theme and story being expressed. 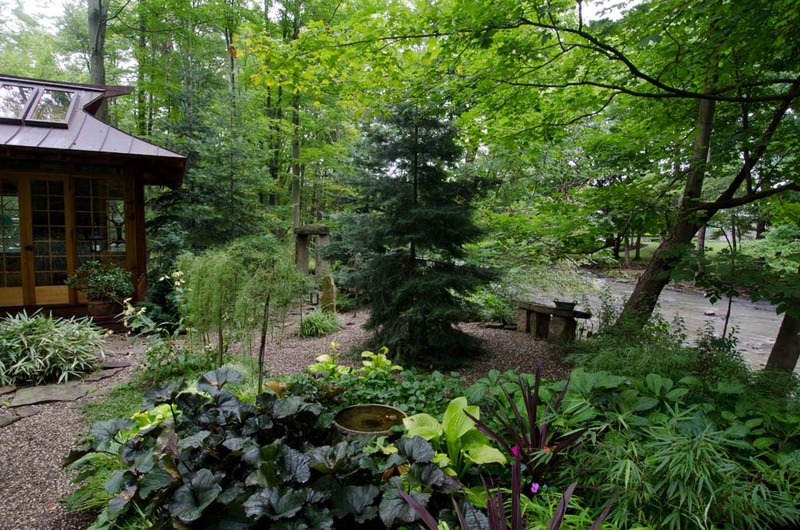 The principles of design used in a Japanese garden depict the spiritual concepts of Fung Shui, Zen, Buddhism, Shinto, etc. The plants are pruned into shapes to emulate natural features, such as clouds and mountains. It is the precise shape and placement of material in the design that achieves the overall poetry and beauty that is so unique to the Japanese garden. Our designs for the Japanese Inner Roji Garden concept are very specific. There are a number of important symbols, spiritual and metaphysical, that are necessary to the design. The symbols add a deep dimension to the Inner Roji Garden Path that each individual walks prior to entering a Japanese Tea House structure or participating in a Tea ceremony. Along with these symbols, particular natural crystals are used in our designs for reflection as one moves throughout the garden. The designs are individualized by important elements selected by our clients to reinforce their own philosophies. Attention is given to horticultural components, which are critical in providing an authentic Japanese Garden appearance. In the end, your Japanese Inner Roji Garden will have a unique and beautiful universal story to tell.